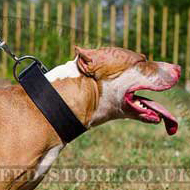 What do you see when you look at this chain dog lead? 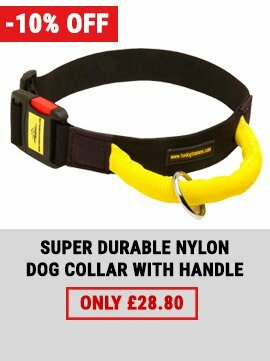 Stylish dog accessory? 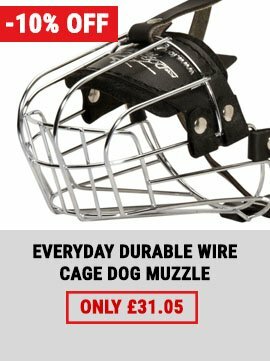 Durable Staffy accessory? 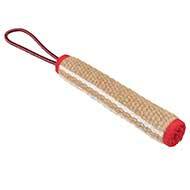 But this metal dog lead has one more advantage. 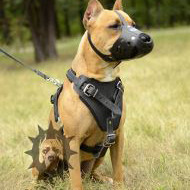 Forget about leash chewing Brass chain will not allow this anymore! 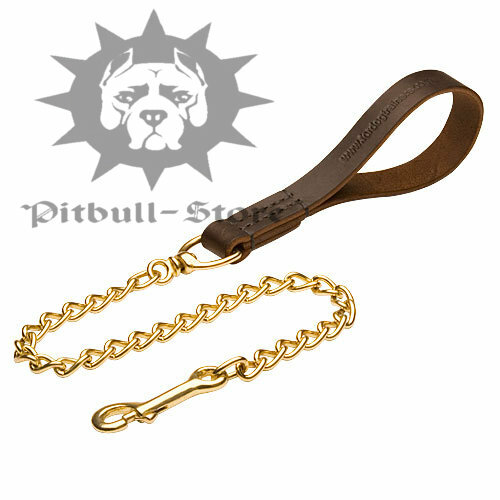 As you see this chain dog lead is produced of two parts. 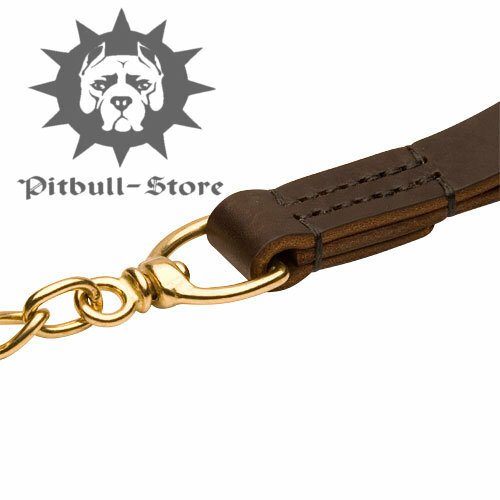 The metal part of the dog leash is made in Germany by the famous Herm Sprenger manufactor. 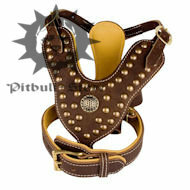 The Fordogtrainers company made this item more comfortable by adding leather handle. 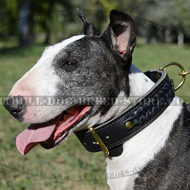 Enjoy perfect quality from two market leaders! 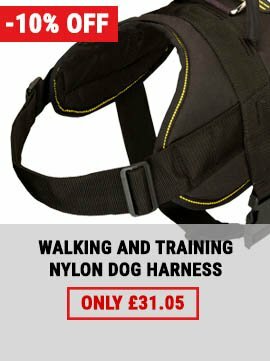 Look through our article Retractable Leash VS Usual Lead and choose the best for your dog. 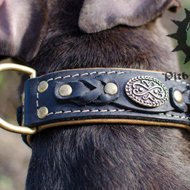 Cover the leather handle of this short dog lead with Leather Care Balsam to prevent cracking and drying out. 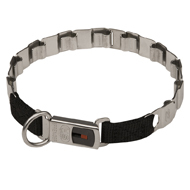 NECK TECH Dog Collar for Pitbull, Stainless Steel, 24"